To steal a phrase from Tyler Cowen, Macron is the ‘complacent class‘ candidate of France’s 2017 election. Most discordant of all, the popular frontrunner of the 2017 campaign spent two years in the cabinet of the most unpopular president of the Fifth Republic, François Hollande, making economic policy as minister of the economy, industry and digital policy. But previously, Macron served as Hollande’s deputy chief of staff in the first two years of the Hollande presidency. Though Macron’s platform is more gauzy than granular, it’s still much closer to Hollande’s policy positions than the other four major candidates in the race. Macron’s political career owes almost everything to his mentor. Macron, like Hollande and the leading figures in Hollande’s cabinets, is essentially a centrist reformer who pivots slightly more to the left than to the right. His major accomplishment as economy minister was the so-called Macron Law, which attempted to liberalize the French economy by loosening professional standards, allowing bus routes to compete directly with state-owned railroads, permitting Sunday shops to open once a month, and introducing a handful of labor reforms designed, in part, to make it easier to layoff employees. There’s no reason to believe he would pursue economic policies far different from those Hollande has pursued since 2014 — deeper liberalization reforms to the labor and other industry sectors while maintaining France’s budget deficit within 3% of GDP, generally in line with EU rules. He’s already won the support of Hollande defense minister Jean-Yves Le Drian, who will back Macron over his own party’s candidate (Hamon). Other leading Socialists, from environmental minister Ségolène Royal to finance minister Michel Sapin to former prime minister Manuel Valls (the latter having lost the Socialist nomination to Hamon), all have kind words for the renegade presidential candidate. There’s a risk, though, that Macron’s growing list of high-ranking Socialist supporters will depress his ability to appeal to French center-right voters. It’s ironic, perhaps, that Hamon has struggled under the weight of the Socialist Party brand, because he is the far more revolutionary candidate of the two, with his musings about a tax on robots, a return to the 32-hour workweek, new regulations for endocrine-disrupting chemicals and marijuana legalization. Hamon, in substance, marks the true rupture from the Socialist Party, if not in form. Macron, in substance, is running for a second Hollande term, but certainly not in form. Though he impressed center-right centrists by winning longtime presidential contender François Bayrou‘s endorsement, Macron’s attempts to woo the center-right have too often been transparent sops to conservatives, such as a proposal to re-introduce conscription earlier this week. It leaves Macron open to the notion that instead of transcending the left-right divide, he’s essentially trying to win both sides of the divide. (Ask Bayrou in 2007, or John Kasich or Marina Silva or Nick Clegg how that approach usually works out). Macronisme isn’t necessarily bad. As opposed to a hard-left platform that could terrify industry or a hard-right program that could terrify much of France’s minority population, British, German, Irish and Swedish experiences from the mid-1980s through the late 1990s show that at least moderate reforms designed to improve the business and labor climate (sometimes when combined with reforms strengthening the social welfare net) really can improve income growth and employment opportunity. If done right, Macron will sail to reelection in 2022; if he fails, like his mentor Hollande, he will make Le Pen even stronger for 2022. Even if he pulls off a presidential win, and that seems likely from today’s polling, it will still be difficult for a first-time movement, even one as popular as En Marche, to win a majority in the Assemblée nationale (National Assembly) by recruiting quality candidates to compete in June parliamentary elections across 577 separate constituencies in France. 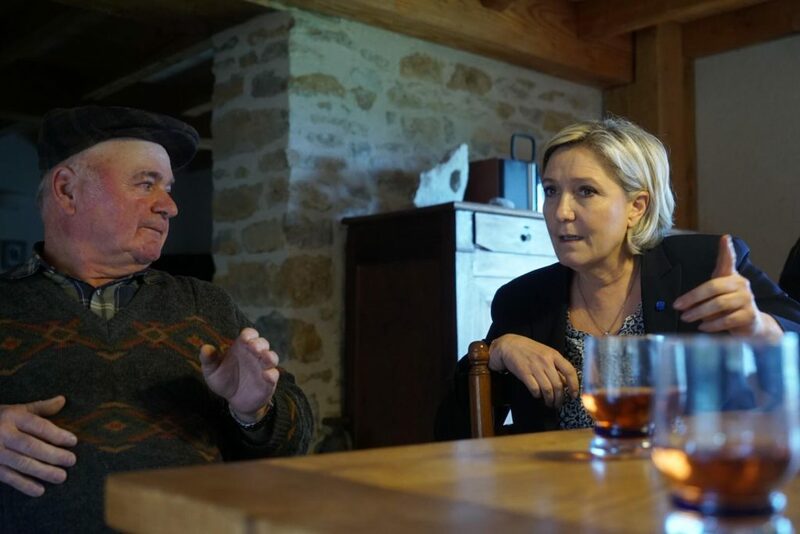 For all of her faults, Marine Le Pen is shrewd, and she knows both that she has the safest path to the May 7 runoff and that Macron is essentially running a campaign for Hollande’s second term. If you look at polls, Le Pen, the three-time candidate of the hard-right Front national, still leads most first-round surveys, though she’s essentially tied with Macron at 25% or 26% support for the April 23 first-round vote. Fillon, plagued by a ‘fake jobs’ scandal (whereby he paid his wife and children for invented public-sector jobs) and corruption probe, trails behind with 17% to 20%. Runoff polls initially gave both Macron and Fillon a double-digit lead of around 60% to 40% against Le Pen. But recently, Macron’s lead has grown to 62% or 63%, while Fillon’s lead is shrinking, in one poll, to just 54%. Among the candidates, Le Pen has some of the most devoted in the election. So do Fillon and far-left candidate Jean-Luc Mélenchon. A couple of weeks ago, less than half of Macron’s supporters said they were certain to vote for him and, even now, just over 50% of his supporters say they are certainly backing him. So there’s plenty of time and space for political gravity to dampen Macron’s support, in both the first round and runoff. It wouldn’t necessarily shock to see Macron’s supporters melt away on election day, giving France a Fillon-Le Pen runoff. In that runoff, Le Pen will have her clearest contrast with Macron. The game will reset, entirely. If she makes it to the first round and, indeed, if she wins first place in the first-round vote, the volume on her megaphone will be turned up all the way to global, as international reporters descend on France for the two-week runoff campaign. She could devastatingly paint Macron as Hollande’s second term, the poster boy of a political elite that has promised for decades and failed to deliver. She will hit all the right notes, politically, for the traditional French right on the social values important to French Catholics, and she will hit all the right notes for working-class voters that have often supported Socialists in the past, in part by talking about jobs and a platform geared to economic nationalism. Le Pen would be wise to stop talking so much about her proposal for a Brexit-style referendum to leave the European Union; she managed to avoid it in the first debate earlier this week. She might also show some compassion for legitimate immigrants and second- and third-generation French citizens of Middle Eastern and North African descent. In the meanwhile, she and her surrogates will paint Macron as an effete, entitled, weenie élite — the Monsieur Flexiglass who will say anything to anyone to win election. Supporters like Bayrou and Le Drian can serve as a buffer for Macron, but Le Pen is far more experienced in politics and, of course, she has a seasoned team that won the 2014 European parliamentary elections. In 2002, when Jean-Marie Le Pen made it into the presidential runoff with Jacques Chirac, virtually the entire French political spectrum lined up behind Chirac, despite their misgivings (often, their disgust) to defeat Le Pen — and they did, by a margin of 82.2% to 17.8%. 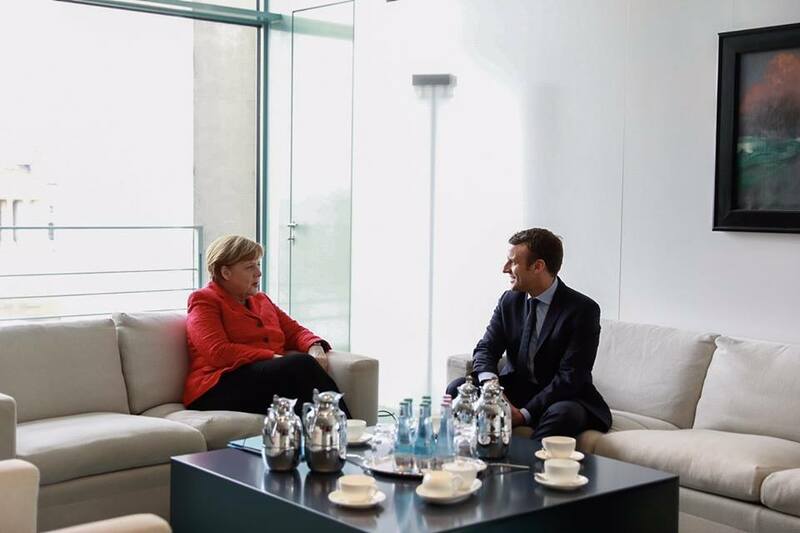 Macron will not benefit from the same kind of solidarity. Around half of Fillon’s voters are already expected to support Le Pen, and an embittered Fillon, humiliated by scandal, could even endorse Le Pen over Macron. Many Hamon and Mélenchon supporters say they will simply stay home during the runoff. Some will certainly line up behind Macron, but others will venture a vote for Marine Le Pen, especially given her economic rhetoric. A surprise upset, while very unlikely, isn’t out of the question. Finally, both the Le Pen and Macron campaigns must be taking very seriously one final wild card, especially after this week’s deadly attack in Westminster — a terrorist attack on France between April 23 and May 7. The worry is that a well-timed ISIS blast within France could send frightened voters into the arms of Le Pen’s campaign. But between January 2015 and July 2016, France weathered a profane series of terrorist attacks, beginning with the Charlie Hebdo and related attacks on a kosher supermarket (17 people dead), the Bataclan and related attacks in Paris (130 people dead) and the Nice attack on Bastille Day with a 19-ton cargo truck (86 people dead). That’s not even counting the random acts of violence like the stabbing of an 86-year-old priest last July at Saint-Étienne-du-Rouvray. All of these attacks share one thing in common — they were either committed in the name of ISIS or, in the case of the Bastille Day attack, a Tunisian resident of France. The attacks seem unacceptable, and they are one of the reasons Hollande didn’t even attempt to run for reelection. But even after such barbarous attacks, the French haven’t yet turned en masse to Le Pen.